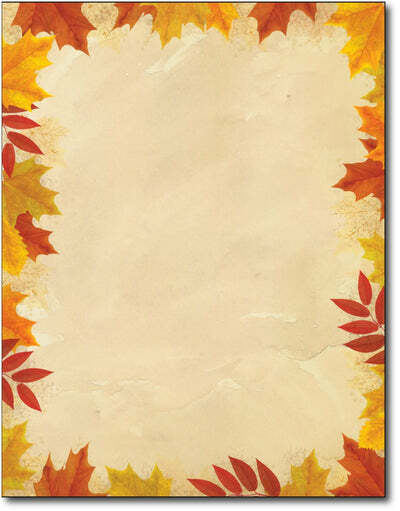 Autumn Leaves Border Stationery Paper by Desktop Publishing Supplies, Inc. captures the beauty of fall as the background for your message. This Fall themed stationery paper features leaves & ferns of Red, Yellow, and Orange around the border of the paper all over an aged beige background. The design is sure to impress!